Following is a recent interview with Haitian economist Kesner Pharel on the current state of Education and opportunities for Haitian youths. Mr . Pharel, who has a master in Public Administration from Harvard University and a master in Sports Management from Universite de Lyon, France, is currently the president-general director of Group Croissance S.A, a consulting firm in Economics, Finance and Management based in Port-au-Prince, Haiti. He is one of the main economic and financial communicators in Haiti and is greatly involved in the dissemination of ITCs in the country. 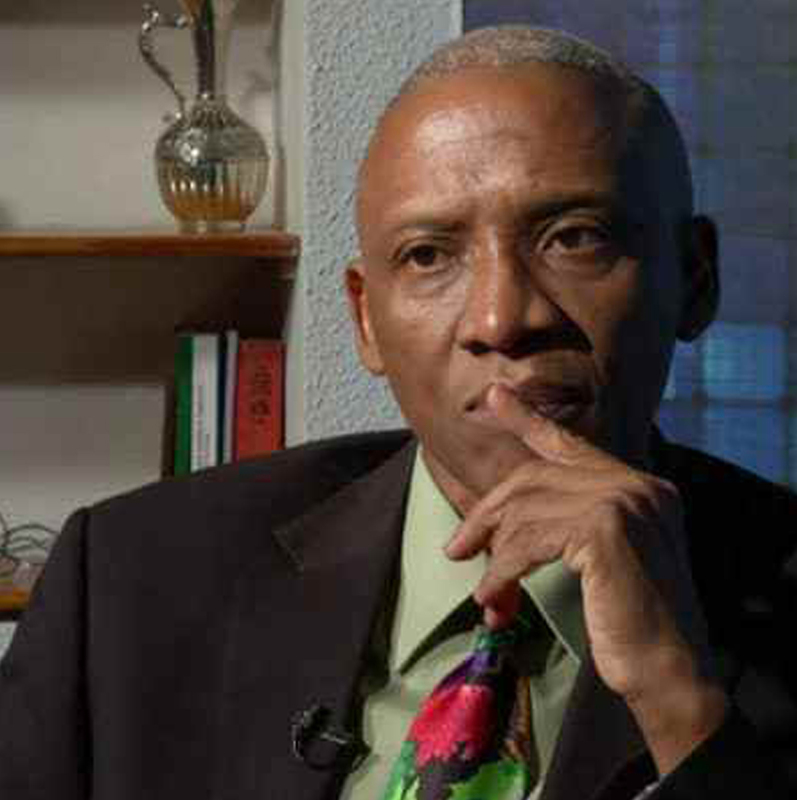 For his multiple accomplishments in Haiti in the last 20 years, he has received one of the highest honors in the country called "Trésor national vivant". Mr. Pharel, the Children Heritage Foundation understands that funding alone is not sufficient to ensure Haiti can develop its own capacity to participate in the global knowledge economy and, that any financial investment needs to be supported by a set of complementary educational strategies in order to sustain economic growth. As a result, we would like you to help us answer the following questions on the current situation. Why is the education of our Haitian youth crucial to Haiti's future? Mr. Pharel: Haiti has been greatly affected by political instability, economic hardship and social tensions during the last three decades. This has led today to an important extension of poverty in the Haitian economy. In fact, more than 4 million Haitians are living with less than 1 US dollar a day, which we call extreme poverty, while more than 7 million Haitians live with less than 2 US dollars a day. Those are considered as poor people. The illiteracy rate in Haiti, the highest in the region, is more than 40 %. We found out a strong correlation between the lack of education and poverty in Haiti. We strongly believe that by improving education of the youth we will create better conditions for them to find jobs in the economy. I think also that we have to teach not only aptitude as it is the case in the traditional model of education, but also attitude in order to empower the youth in establishing their own business through innovation and entrepreneurship. The use of ITCs in the education system in Haiti could greatly facilitate the integration of the youth in the global economy. They could do so without having the pressure to leave the country. When we visited Les Cayes in February, it was apparent to us that the hundreds of students we met with were eager to learn and their intellectual level, not surprisingly, was quite high. What can you tell us about your own experience with the schools and students in Haiti? Mr. Pharel: I am a product of the Haitian school system and I did not have much problem to adapt myself at George Washington University where I started studying electrical engineering. I had no difficulties to graduate in four years with a double major in Economics and Political Science. I had a very solid foundation from the catholic school where I studied at the primary and secondary levels in Les Cayes. I think that the quality of learning is still there in a group of schools in this city and other cities in the country. The Haitian youth is greatly supported by the family that is ready to pay its own money for the education of the kids. A study by the World Bank has shown that Haiti is a country where parents are more than willing to pay for education. One has to admit though that there is a strong need to make some important adjustments in the curriculum as well as the way of learning in Haiti today. What are the current educational hurdles faced by our youths? Mr. Pharel: The Haitian youths face many hurdles in the current education system. One of the most important is the access for kids at the primary level. Some 500 000 kids who are supposed to be at this level are out of the education system, which could facilitate delinquency among the youths and feed the insecurity. We got to say that the country is growing at a fast rate on the demographic side, more than the 2% on a yearly basis. Those who get the chance to get inside the education system, do not always benefit from quality. The difficult conditions faced by the teachers do not encourage the best resources to stay in the system. The lack of resources as well as poor allocation of these resources, do not give the State sufficient means to invest in the education system. The lack of books and technology facilities constitute another major constraint for the Haitian youths looking for good quality learning. When they finish at the secondary level, young Haitians meet great difficulties to get access to the superior level, technical schools and universities. The lack of quality at the highest level forced many young Haitians to leave the country to study abroad in the Dominican Republic, in Puerto Rico, in the United States, in Canada and in Europe. This has caused an important brain drain that has a negative impact on the national economy and the sustainable development. What other educational strategies are in progress and, how can the Haitian diaspora, private sector and the international community assist educators or government achieve the current objectives? Mr. Pharel: One of the main initiatives that I know is the Presidential commission on Education made in place by President Rene Preval to make recommendations for radical changes in the Haitian education system. Members of this commission led by the rector of one the main private universities, Universite Quisqueya (UNIQ), Jacky Lumarque. Members of the commission have traveled in the United States, in Canada and in France to work with Haitian professionals in the field of education to see how they can cooperate for the re-invention of the system. I strongly believe that the members of the diaspora could be an important driver in the re-engineering of the Haitian education system. They could do so in sharing information and experience that they get from the countries where they live. They could help also establish a trust fund that could finance school system at the basic level. Another interesting initiative has been established by an American who wanted to give a hand to young smart Haitians who do not have the financial means to get access to university. Haitian Education Leadership Program (HELP) is the name of the project that gives a full scholarship to one hundred university students through excellence (good grades). I will encourage groups of people in the diaspora to support financially this project that greatly improves the economic life of the beneficiaries. How can the Children Heritage Foundation (recently launched by Marketware International) be successful in its efforts in Haiti? As you know, our plan is to launch our Technology Education program in the fall of 2008 starting with an English competency education course. Mr. Pharel: The success of the Children Heritage Foundation will depend on the type of partnerships that it will make on the field. To face the many difficulties that it will confront in Haiti, the Foundation has to find credible organizations already working in Haiti. The establishment by Children Heritage Foundation of the Technology Education program can be a great boost for the Haitian economy looking for some new growth sectors. With a very young population – more than 50% of the population having less than 25 years old – the country is faced with a great challenge of youth unemployment. Many young university students cannot find jobs in the economy. The traditional sectors of this economy are unable to create sufficient jobs at a rate to satisfy the strong demand by the youths. I think that this Technology Education program could create the same environment that the young Indians benefit to compete with their counterparts in the developed countries. There is a need for 'high capacity' backbone infrastructure in the country. When we visited with the President in February he called for a commission to report back to him on the recommendations for this urgent requirement. As you know this is an area of great interest to us to facilitate the delivery of digital data over the Internet for our program. Can you tell us what is currently happening specifically in the private sector and government institutions to explore ways and means of improving high-speed connectivity in Haiti? Mr. Pharel: The success of the Children Heritage Foundation will depend on the type of partnerships that it will make on the field. To face the many difficulties that it will confront in Haiti, the Foundation has to find credible organizations already working in Haiti. The establishment by Children Heritage Foundation of the Technology Education program can be a great boost for the Haitian economy looking for some new growth sectors. With a very young population – more than 50% of the population having less than 25 years old – the country is faced with a great challenge of youth unemployment. Many young university students cannot find jobs in the economy. The traditional sectors of this economy are unable to create sufficient jobs at a rate to satisfy the strong demand by the youths. I think that this Technology Education program could create the same environment that the young Indians benefit to compete with their counterparts in the developed countries. Why is the timing right for such a program and, what would you say to our prospective supporters outside of Haiti? Please address both educators and business leaders. Mr. Pharel: There is a strong will to learn of the Haitian youth. They are looking for opportunities and are ready to be part of the globalization process. You can see how these young Haitians succeed outside of the country when they get opportunities to study and work in foreign countries. Haiti has a very young population, with more than 50 percent of it having less than 25 years old. A lot of young Haitians are leaving school and university and are meeting great difficulties to find a job. The unemployment rate for this group is very high in an economy where more 60 percent of people looking for a job cannot find one. We can say that the development of ITCs could create many good opportunities for young Haitians to find a job outside of the capital where most of the jobs are concentrated, leading to a deterioration of the quality of life of the people. Lastly, we believe that Haiti is a prime location for business, and we intend to demonstrate this with our graduates by promoting their capabilities outside of Haiti (similar to the success story of India and other nations that benefit from the global economy and knowledge-sharing). As an economist, what are your thoughts in this area? Mr. Pharel: Haitians living in foreign countries like the United States, Canada, Dominican Republic, France, Spain and other countries in the Caribbean have a very good reputation in the labor market. Some Haitians have succeeded at the highest level in the corporate world in the most developed countries. Some of them are now entrepreneurs who launch their own business. I believe that if we create the good business environment, strengthen the public institutions and governance in Haiti and if we teach to the young local entrepreneurs the required skills, we can get the same results that they get in India and China in the field of outsourcing. There are some great challenges, but we have some competitive advantages and we should use them to succeed in the global game. I think that Marketware is taking a risk in Haiti, but the rewards could be great. I am very sure other actors will follow and the country will win big with these new opportunities. Thank you Mr. Pharel for your time and, for your ongoing support in Haiti.